If you’re looking for a new Chevy pickup truck, then you’ve come to the right place. 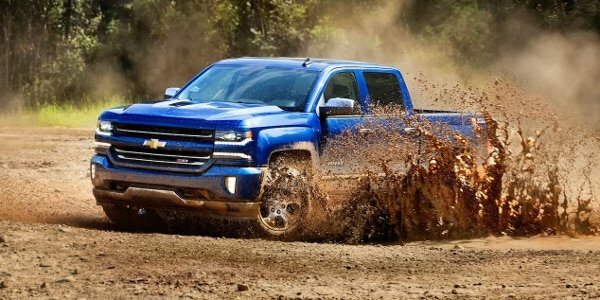 Our in-depth comparison of two of the most popular pickups—the Chevy Colorado and Chevy Silverado 1500—will help you decide which is best for your needs. Each vehicle offers a much different set of engine options to Merrillville, IN drivers. While the Chevy Silverado 1500 is better for heavy-duty tasks on job sites, the Chevy Colorado is perfect for off-roading and towing an item like a small boat. Take a look below to see which model offers the performance specs you’re looking for. Max. Towing Capability 3,500 lbs. 7,700 lbs. 7,000 lbs. Max. Towing Capability 7,600 lbs. 11,100 lbs. 12,500 lbs. Both the Colorado and Silverado 1500 are built with high-strength steel to help withstand any adventure or work trip you take. Additionally, these vehicles share the same triple-seal inlaid door technology, as well as an aerodynamic windshield to help reduce cabin noise. If cab space is your concern, you may benefit from the roomier options on the Chevy Silverado 1500, which gives you the options of the Regular two-door cab, the six-passenger Double Cab, and the Crew Cab, which also seats six, but provides added interior space. The Colorado, on the other hand, gives you two options: the four passenger Extended Cab and the five-passenger Crew Cab. No matter which model you choose, you’ll have access to the latest automotive innovations in safety and technology. The Colorado and Silverado 1500 both offer the Chevrolet MyLink® infotainment system with navigation, Bluetooth® wireless technology, and 4G LTE® Wi-Fi. 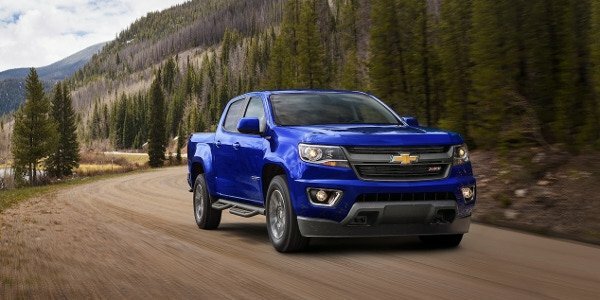 When it comes to safety, both Chevy Colorado and Chevy Silverado drivers will be secure and practice safer driving tactics with the help of features like the rear vision camera, which is standard on the Colorado, and other driver assistance technologies like Lane Keep Assist, Side Blind Zone Alert, and Forward Collision Warning. Before you schedule your test drive, check out the 2017 Colorado and 2017 Silverado 1500 inventories for trim package availability. For more information about these two dynamic pickup trucks, send our team a message or call (219) 947-4151.